On March 22, 2018, the President signed into law the Section 199A technical corrections that fix the grain glitch. The bad news with these Section 199A technical corrections? They complicate an already complicated chunk of the new tax law. If you understand how Section 199A works and how the old Sec. 199 deduction worked, you will find both the Section 199A technical corrections and the actual “fix” easy to understand and learn. The grain glitch fix Congress came up with? First, the new version of the Section 199A deduction for cooperative members retroactively removes the 20% of gross “qualified cooperatives” dividends deduction. Note: In essence, the “20% of gross dividends” deduction gave some farmers and ranchers a tax deduction equal to 20% of their revenues. Absurdly, that gigantic deduction meant these businesses probably wouldn’t pay federal income taxes. Second, the new version (essentially) reinstates the old Section 199 deduction (that old 9% “Domestic Production Activities Income” deduction) for specified agricultural and horticultural cooperatives. A third and final change: because that 9% deduction gets passed through from the cooperative to the unincorporated and S corporation patrons of the cooperative, the new law subtracts a chunk of the cooperative member’s Sec. 199A deduction. That subtracted chunk equals 9% of the qualified business income from the cooperative. A quick simplified example (from our Maximizing Sec. 199A Deductions monograph) shows how the new “Grain Glitch fix” works. Assuming in this case that W-2 wages don’t limit any of the Sec. 199A deduction amounts (they will in practice probably), Roosevelt calculates his Sec. 199A deduction as equal to 20% of the $100,000 of profits (or $20,000)… plus essentially 9% of the $500,000 in patronage dividends and per-unit retain allocation payments (or $45,000)… minus 9% of the $100,000 in qualified business income he earns from the cooperative ($9,000). Once one understands this basic logic, the other details of the new Sec. 199A deduction for cooperatives and their members become pretty easy to absorb. As with the old Sec. 199 deduction, the 9% deduction can’t exceed 50% of the taxpayer’s W-2 wages. Also, the Section 199A formula for cooperatives doesn’t deduct patronage dividends, per-unit retain allocations, and nonpatronage distributions to get the taxable income amount that plugs into the Section 199A deduction. For example, suppose that Truman Valley Farmers Cooperative, a specified agricultural cooperative, receives and sells $11,000,000 of agricultural products for its patrons each year. Operating costs include $500,000 of W-2 wages and another $500,000 of additional operating expenses. Before deductions for the Section 199A deduction or the Section 1382 payments to farmers and ranchers (the “per-unit retain allocations,” “patronage dividends” and “nonpatronage distributions” payments), both the domestic production income and the taxable income equal $10,000,000. In this case, the cooperative’s Section. 199A deduction equals $250,000. The cooperative patrons receive a pro rata share of the cooperative’s deduction–a $250,000 deduction in this blog post’s example. A patron with a five percent share of the cooperative’s sales, for example, receives potentially a $12,500 Section 199A deduction. The bookkeeping for the cooperative’s Section 199A deduction works just like the old Sec. 199 deduction bookkeeping. Congress literally copied the statutory language from the old Sec. 199(c) paragraphs for the new Sec. 199A(g) paragraphs. In a nutshell, you subtract cost of goods sold and expenses from the domestic production gross receipts and use common-sense allocations of costs. A related note: Nearly all of the other old “9% Sec. 199 deduction” rules seem to apply to the new 9% Section 199A deduction for specified agricultural and horticultural cooperatives including the expanded affiliate group rules, the unrelated business taxable income rules, a special rule for a cooperative with oil related qualified production activities income, and so forth. Within the Section 199A statute, Congress also instructs the Treasury to base the new Section 199A(g) regulations on the equivalent old Section 199 regulations. Earlier paragraphs simplified how the special adjustment works, so let me now provide a better, more precise description. The special adjustment equals the lesser of 9% of the qualified business income the patron earns through the cooperative or 50% of the W-2 wages the patron incurs to earn the qualified business income through the cooperative. For example, suppose that Roosevelt, the rancher introduced earlier, receives $500,000 in payments from the Truman Valley Farmers Cooperative. Due to selling products equal to five percent of the cooperative’s volume, assume Roosevelt gets allocated a $12,500 Section 199A deduction from the cooperative. Are you a CPA developing your Section 199A expertise? Consider our best-selling e-book. Instant download. Money back guarantee. Further suppose that Roosevelt earns no other qualified business income and that coincidentally his investment income and standard deduction exactly equal each other and so cancel out. As a result, both his taxable income and farming income equal $100,000. In this case, Roosevelt’s Section 199A(a) deduction equals 20% of $100,000, or $20,000… plus the $12,500 of Section 199A(g) deduction passed through from the Truman Valley Farmers Cooperative… minus the special Section 199A(b)(7) adjustment. The special adjustment from Section 199A(b)(7) equals the lesser of 9% of the $100,000 qualified business income he earns through the Truman Valley Farmers Cooperative (so $9,000), or alternatively 50% of the $200,000 of wages he paid to earn that income (so $100,000). If you want to better understand the grain glitch which the Sec. 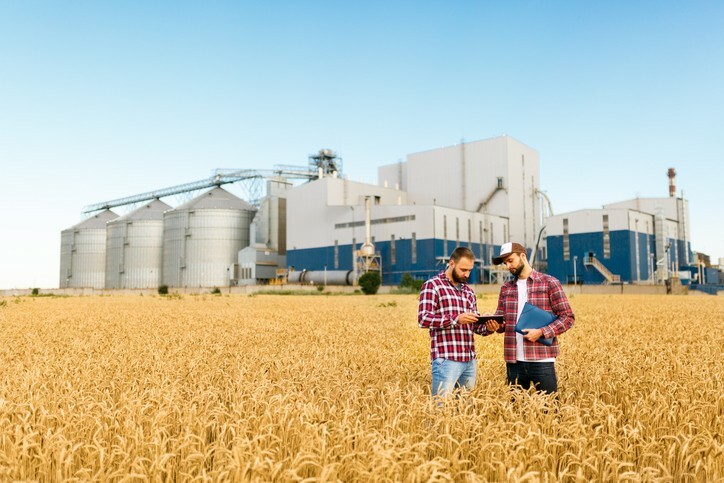 199A technical corrections address, this article from the tax foundation provides a good overview: Grain Glitch Needs to be Fixed. If you need to back up and start with a primer on the Sec. 199A deduction in order to understand the Sec 199A technical corrections, refer to our Pass-thru Income Deductions: 12 Things Every Business Owner Must Know article. Finally, if you’re a tax practitioner or other professional who needs to really understand how Sec. 199A works in order to serve clients, consider purchasing and downloading our Maximizing Sec. 199A Deductions monograph. Did this technical corrections act (or any other bill) address the disparity between Sch. C business and 1065 after guaranteed pay is deducted, or 1120S after shareholder’s wages are deducted, for the 20% deduction? The March 22 technical corrections act fixes the issue described in this blog post–which concerned qualified agricultural and horticultural cooperative dividends. I’m not sure I understand what you mean by “disparity”… but I fear you mean the statutory language that means guaranteed payments and shareholder-employee wages do not count as qualified business income. That’s not something that’s going to change. That is the way the law is written.